Different types of businesses are required to have different governance arrangements. You will also need to conduct the final review to personalise to your company and the vagaries of your operations. We will provide these documents as part of the application process where required, or when the regulator asks for it after submission of the application. Different types of businesses are required to have different governance arrangements. We can do the bulk of the work in personalising to your company with you left to do the final edit and review to include the vagaries of your operations. We will provide these documents as part of the application process where required, or when the regulator asks for it after submission of the application. This option is where we amend and personalise the documents as much as we can but you have the final editing to make the policies specific to your needs and the style of your business. 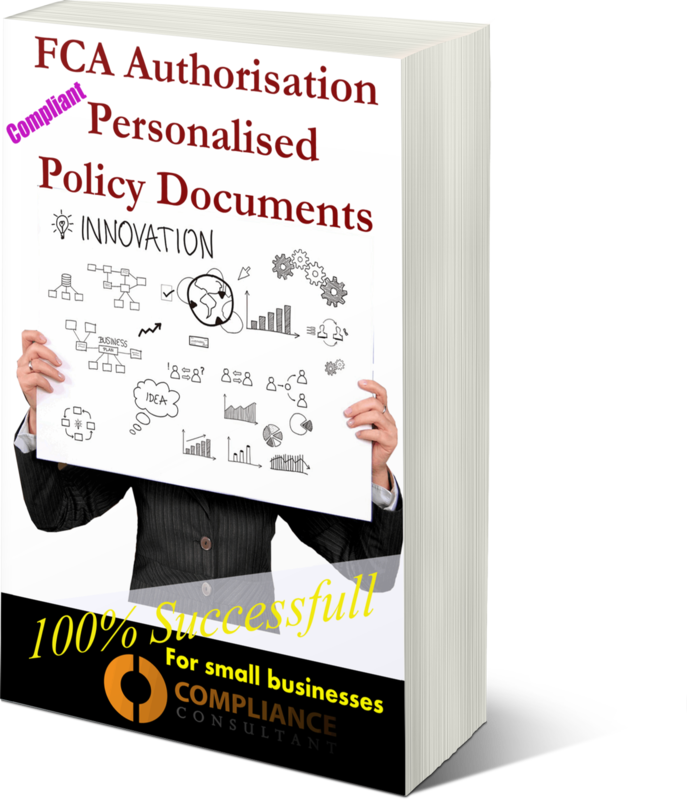 These will include policies and manuals like our top-selling Template Compliance Manual (sold online for £390) or Template AML Policy & Procedures that we sell online for £220.